(CNN) -- At least 27 fishermen were missing after a Vietnam-registered vessel sank in the South China Sea, China's state-run news agency Xinhua reported on Thursday, citing maritime rescue authorities. Strong gales caused the Phu Tan to capsize and sink and the fishermen fell overboard, the report said. 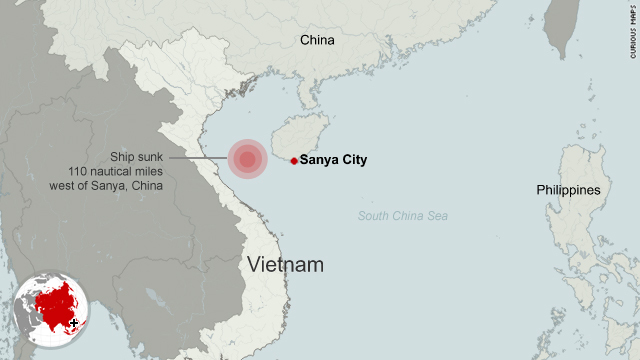 The accident occurred about 110 nautical miles to the west of Sanya City in the southern island province of Hainan, a South China Sea Salvage Bureau spokesman said. A rescue vessel was headed to the site of the sinking, and a towboat was ordered to assist.